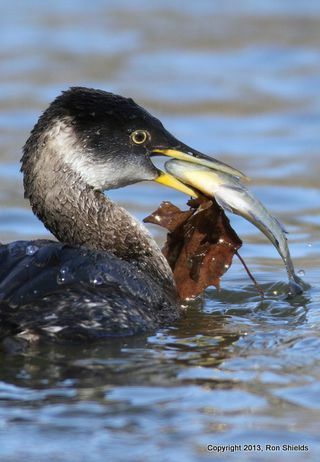 The Rules Committee has been asked whether the Red-necked Grebe in West Hudson Park can be counted as part of the Meadowlands Big Year. After much deliberation, we have decided that it is up to you. If you feel comfortable counting a bird that is technically not in the district, that's fine. After all, we certainly didn't mind posting all these wonderful images of said grebe, like this one by Ron Shields. However, if you saw the bird from Harrison, not Kearny, then it is tough noogies — unless the bird was in Kearny when you were in Harrison. Sorry you asked?